HR is becoming more digital. Technologies, Cloud SaaS in particular, help to complete important management tasks more effectively. And judging by the dynamic of using SaaS in HR, modern businesses realize it. Have you decided to be among the leaders who are moving their HR management into the cloud? Excellent; you have taken the first and biggest step! The second step is integrating HR technology with your company—quickly, and with minimal losses. PwC, a leading consulting company, describes the possible challenges of this process and the ways of overcoming them. 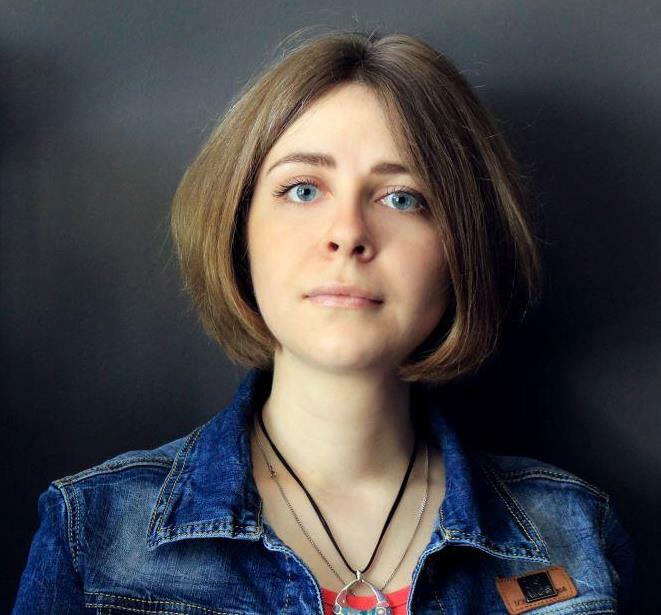 “Through hardship to the stars,” or the probable challenges of moving HR into the cloud. 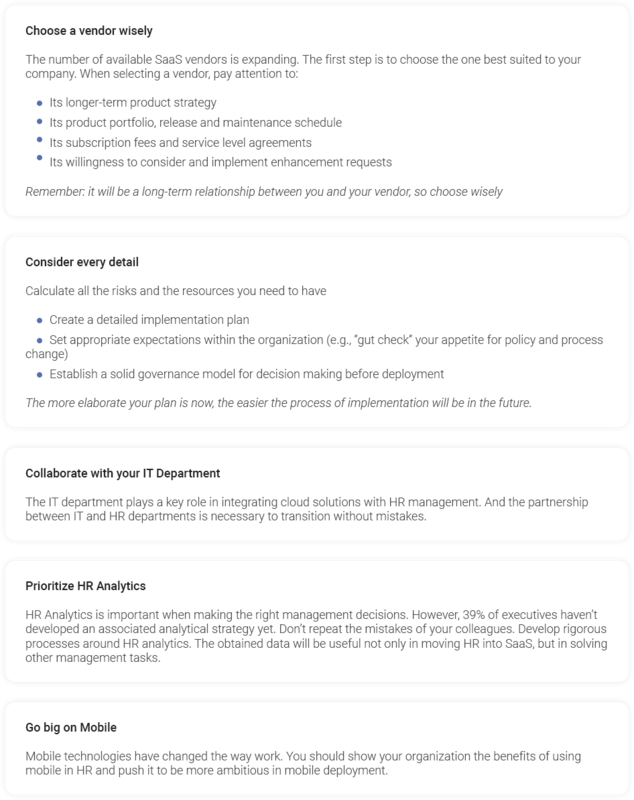 The process of migrating HR system to the cloud is a landmark event for any company. It requires careful planning and acceptance of changes. The first difficulty encountered here is often that management is not ready for this. Executives who took part in the research by PwC confirmed that this is the first, and often biggest, hurdle faced. Some organizations didn’t want to give up customizations and embrace the SaaS mindset; others were not fully prepared for the process transformation required. In addition, the companies experienced a shortage of funding and other internal resources. Management is not the only challenge: the problem may be in the chosen product. 52% of executives said the solutions they used had bugs. 55% noted that the products didn’t have the features that they had expected. These unmet expectations may be the result of scant information about the product. So, 25% of managers noted the lack of available resources for educating themselves on the features and limits of the solutions on the market. Please, note: only 4% of executives said that they didn’t have difficulties in HR SaaS implementation. How is to be among the lucky ones? All these difficulties can be overcome with the help of a deliberate strategy, which should cover the entire integration process from beginning to end. HR is becoming more digital. 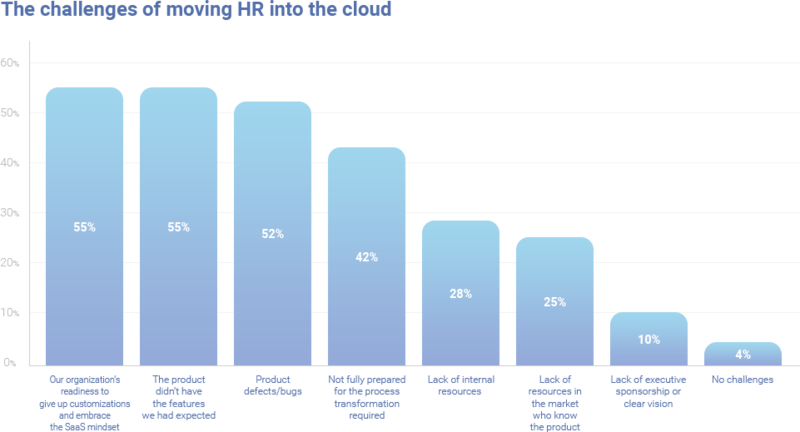 To be among the leaders, you should implement Cloud SaaS solutions to optimize HR management. And if all the steps of implementation are thought out well, the process of moving HR into the cloud will be realized without difficulties.